Hot Canon DSLR & Lens Open Box Deals at Adorama ! ">Hot Canon DSLR & Lens Open Box Deals at Adorama ! Alert: Canon Instant Rebates, Mail-in Rebates, Bundle Deals Ends on January 2, 2016 ! ">Alert: Canon Instant Rebates, Mail-in Rebates, Bundle Deals Ends on January 2, 2016 ! Bundle Deals Still Live: 5D Mark III for $2,149, 6D for $1,099, 7D Mark II for $1,049 and More ! ">Bundle Deals Still Live: 5D Mark III for $2,149, 6D for $1,099, 7D Mark II for $1,049 and More ! Adorama has a 10% back in rewards on several Zeiss, Tamron, Rokinon, Sigma lenses, there are several great lenses at a very cheap price. All lenses ship free. Rewards promotion expires 12/31. Refurbished Deals Restock: 5D Mark III for $1,899, 6D for $999, and 15% Off on Lenses ! ">Refurbished Deals Restock: 5D Mark III for $1,899, 6D for $999, and 15% Off on Lenses ! Hot Deal – Rokinon 8mm f/3.5 HD Fisheye Lens with Removable Hood for $179 ! 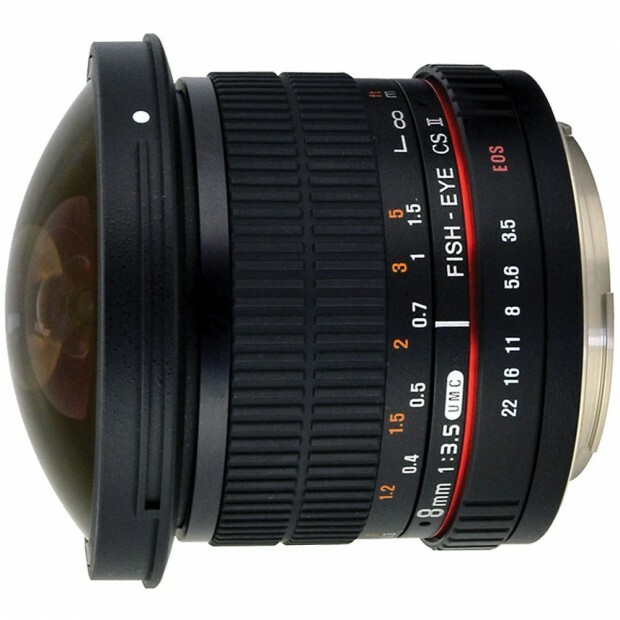 ">Hot Deal – Rokinon 8mm f/3.5 HD Fisheye Lens with Removable Hood for $179 ! The Rokinon Fisheye lens Deal is Back. Adorama has a two-day only deal on Rokinon 8mm F3.5 HD Fisheye Lens. This is the newer “HD” version of this popular lens, which features a detachable lens hoodfor full-frame shooters to get the widest field of view. Hot Bundle Deals Back: 5D Mark III for $2,149, 7D Mark II for $1,049, 70D w/ 18-135 for $949 & More at Adorama ! ">Hot Bundle Deals Back: 5D Mark III for $2,149, 7D Mark II for $1,049, 70D w/ 18-135 for $949 & More at Adorama ! Adorama has several hot DSLR & Printer bundle deals back. Update: B&H Photo also matched price of most items. Hot Deal – Rokinon 14mm f/2.8 IF ED UMC Lens for $239 at B&H Photo ! ">Hot Deal – Rokinon 14mm f/2.8 IF ED UMC Lens for $239 at B&H Photo ! B&H Photo Video has a great deal on Rokinon 14mm f/2.8 IF ED UMC Lens for Canon EF mount. This is currently lowest price for this lens.